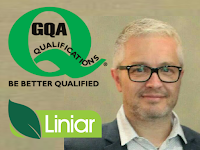 GQA recently supported leading system company Liniar during the making of their latest installation video to demonstrate best practice for installers. “We were delighted when Liniar asked us to get involved to advise them in a real ‘hands on’ way the many do’s and don’ts for installers when fitting a new window” says CEO Mick Clayton. “We passionately believe that good installation is really important, and when Liniar asked us if we would help them with their new installation video we were only too happy to help”. “It is great for us that leading players like Liniar recognise the work we do as a qualifications awarding body for the industry, and that they attach such importance to what we say that they wanted us to support them on the making of their video”. “It was great to be involved, and we appreciate the opportunity to support them in trying to raise the standard of installation by developing good practice guides”.